Hudson's Bay is offering some great deals for Canada Day! Save 50% off select Red and White Small Appliances! 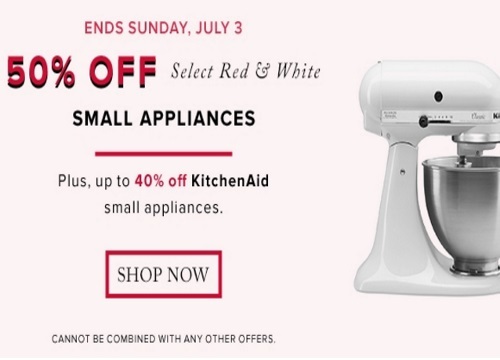 Also save up to 40% off KitchenAid small appliances. This offer ends Sunday, July 3, 2016.